There are times when I am stuck in traffic driving home from work along a rural highway. The movement of vehicles can come to a slow crawl or even stop all together. In these moments, I can choose to look at the scenery around me in a more concentrated way than when I am just driving past. The trees are tall and healthy. The green grass carpets the ground in vivid color. The land has been well cared for. People who are in right standing with God—those who have sincerely chosen to seek His guidance as they journey through life—grow tall in the faith and flourish in the midst of His forgiveness and love. Righteous people flourish like palm trees and grow tall like the cedars in Lebanon. 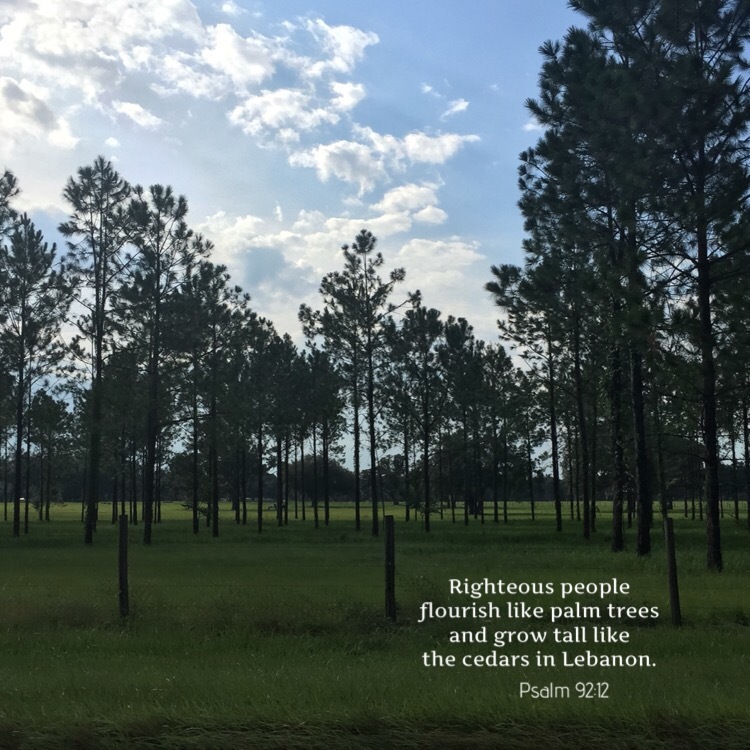 This entry was posted in Bible verses on photos, faith, forgiveness, Inspirational photography, nature and tagged forgiveness, trees.